A survey from Glassdoor reveals that the demand for Blockchain and cryptocurrency people is higher than ever. And interestingly it is not just developers in demand but much more. Anyways, I think you know this fact, and that’s why precisely you are interested in online blockchain training, but I will still leave you with the stats from Glassdoor. So you see there many other types of blockchain and crypto jobs available and the highest demand is for blockchain software engineers. But whether you are a developer or not doesn’t matter because you need to understand blockchain and Bitcoin fundamentally to get started in any blockchain job. 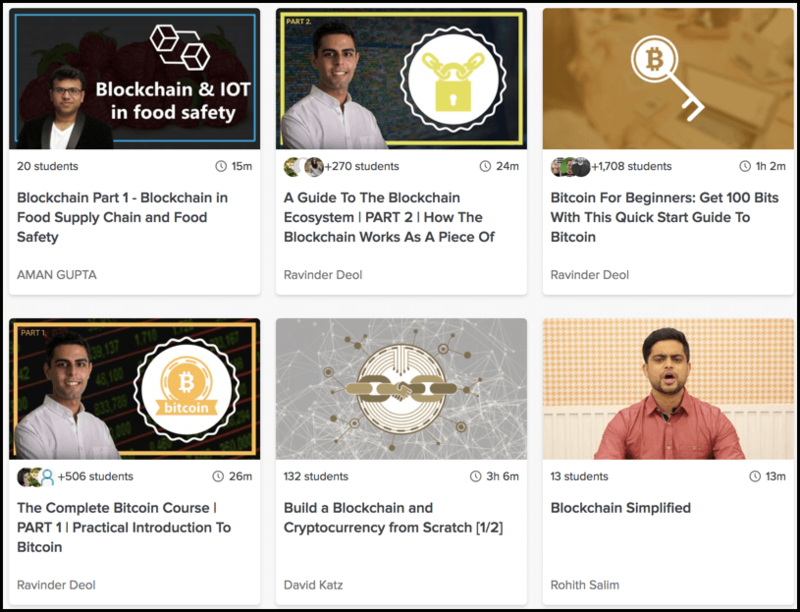 Realizing the need of the hour, we have these list of best blockchain online courses that have been taken up by 1000s of blockchain aspirants already. Blockchain skill is a must have if you are a techie or a semi-techie guy. 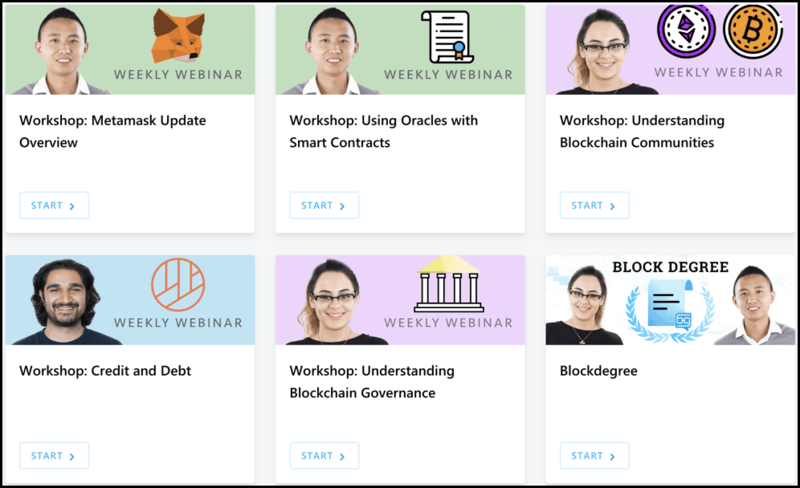 Our expert team has put together this list of popular blockchain courses for you so that you need not look around and waste your time. This is the best online course on the basics of Blockchain and Bitcoin accompanied with a blockchain glossary. Anyone aspiring to learn high-level fundamentals such as hashing, tokens, mining, smart contracts, Bitcoin Cash, wallets, blocks, etc. should take this course. Moreover, this is complete blockchain for beginners course where more than 40,000 students have registered to clear their basics about blockchain and Bitcoin. There are no pre-requisites beyond an interest in learning about blockchain for taking this course. User Review: Very good and clear introduction to blockchain and Bitcoin. The sequence of lectures might be adjusted a bit. For example, it makes sense to move lecture about block contents before explaining how blocks are connected in ledger. Also, some use cases with businesses accepting Bitcoin would add value, so far topic of conversion from currency to Bitcoin and back is not covered at all. B21 Block is an online cryptocurrency & blockchain school, and since 2015 has been creating the highest quality educational products, on cryptocurrency and blockchain technology. Whether your goal is to learn about bitcoin, start trading cryptocurrencies, become an ethereum developer, or understand blockchain technology on a theoretical level, B21 Block will help you navigate this challenging ecosystem. 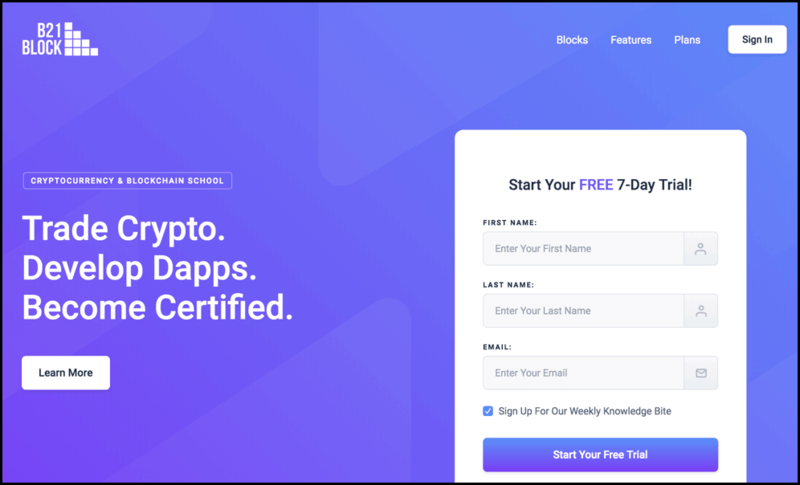 Their subscription model is quite simple and very cost effective where you will get access to all the 15 courses (ranging from basics to Ethereum development) that you will ever need to get started and become the master of blockchain & cryptocurrency realm. With their monthly/annual subscription you also get access to the private community, exclusive interviews, Job placement support, etc. User Review: It is excellent, as much as he provides important information, he back peddles to make sure we know the definition. So it’s great for clarity on certain topics. Blockgeeks is another blockchain training platform that you will love because it has the same monthly and annual subscription model. So anyone who wants to deep dive into blockchain and cryptocurrencies month after month should opt for Blockgeeks, and it is for experts & beginners alike. When you sign up, you’ll immediately have unlimited viewing of expert courses, paths to guide your learning, tools to measure your skills and hands-on resources like exercise files. There’s no limit on what you can learn because new content is released on a weekly basis. Plus it gives you access to the learning path and suggests you which course you should take first according to your chosen career path and skills. When some course is brought to you by ConsenSys Academy, you should take it seriously because they are best in the business and a well-positioned blockchain startup specifically focused on Ethereum. In this course, you should expect a definitive introduction to blockchain for both the developer and non-developer audience. Plus you will be introduced to the philosophy behind decentralization and why there is so much excitement around it. This course is updated for 2019 and requires 15 hours of effort from your end to get well versed with blockchain technology. This is one of the best instructor-led online blockchain training course for an intermediate and advanced audience. So if you are a developer or banking/finance professionals aspiring to be a blockchain architect this course should be your priority. If you are someone who is looking to get into the blockchain then this the best blockchain online course for you to develop that future-proof skills. After taking this course, you will be able to synthesize your blockchain solutions, regulations around cryptocurrencies and enterprise level blockchain implementations. Moreover, the course is offered by the University of California, Berkeley faculty, so you need not worry about its quality and curriculum. Plus you get the discounted combo of two courses in this introductory to intermediate level course. Through this course, anyone who is a beginner developer can get an overview of blockchain concepts and learn about the blockchain data structures and identifiers. You will also learn about mining basics and will be creating blocks to understand blockchain transactions. And Later you will learn about emerging trends and blockchain public policies. Want to learn even deeper about blockchain apart from programming then this platform is for you. SkillShare has more than 50 courses on blockchain where you can learn about various usecases as well such as blockchain in the supply chain; blockchain is financial services, blockchain 101, web 3.0 for non-techies and cryptocurrency investing. CBE (Certified Blockchain Expert) course is for anyone wanting to add a blockchain certification in their resume for a quick hiring. It is an exam based program where you will learn about blockchain basics, blockchain usecases in health care, supply chain, digital marketing, finance industry, etc. Which Blockchain Online Training Courses & Certifications To Choose? Which course or certification to choose? Well, certainly this a valid concern and that’s why we have specifically listed which course is for which type of professional- developer or a non-developer, etc. So we suggest you stick to those benchmarks while choosing the right blockchain course or certification for you, thus accelerating your career. That’s all from us in this exhaustive list of the blockchain certifications, and we will keep adding more quality blockchain courses here.